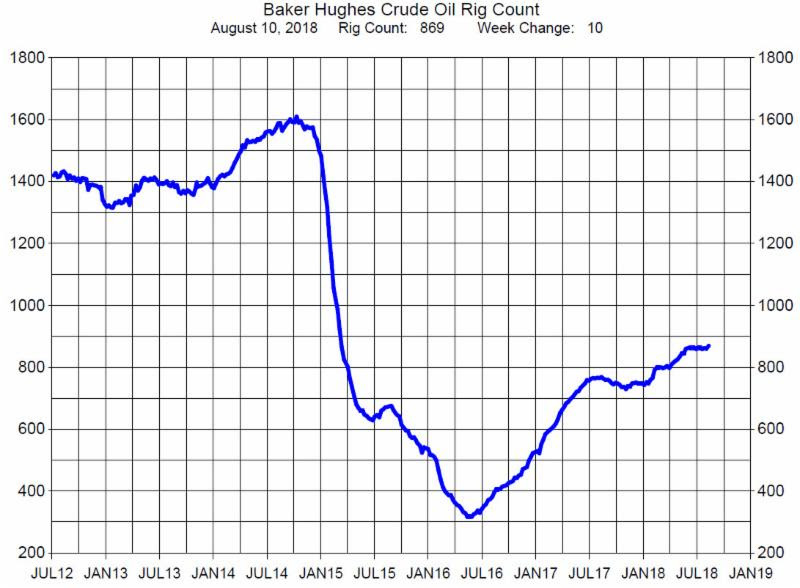 The Baker Hughes rig count report shows U.S. oil rig count increased by 10 rigs to 869. The increase in rig count is the largest since May 25. While Crude Oil prices are still range bound between $67 and $70, producers may now believe an increase in prices is imminent and are adding rigs to take advantage of higher prices.